Across two newly designed Collections — Masterpiece® and Professional — consumers can experience a full connected kitchen. Through the Thermador Connected Experience by Home Connect™, all dishwashers, coffee machines, 30-inch standard ovens, built-in steam ovens and select refrigeration units, hoods and induction cooktops are connected. The Thermador Connected Experience offers access to culinary content developed by select partners including Food & Wine and ButcherBox. With more than 200 new pieces of content including learning how to make the perfect steak and understanding the perfect wine pairing, the Thermador Connected Experience by Home Connect™ allows consumers to explore their culinary potential. 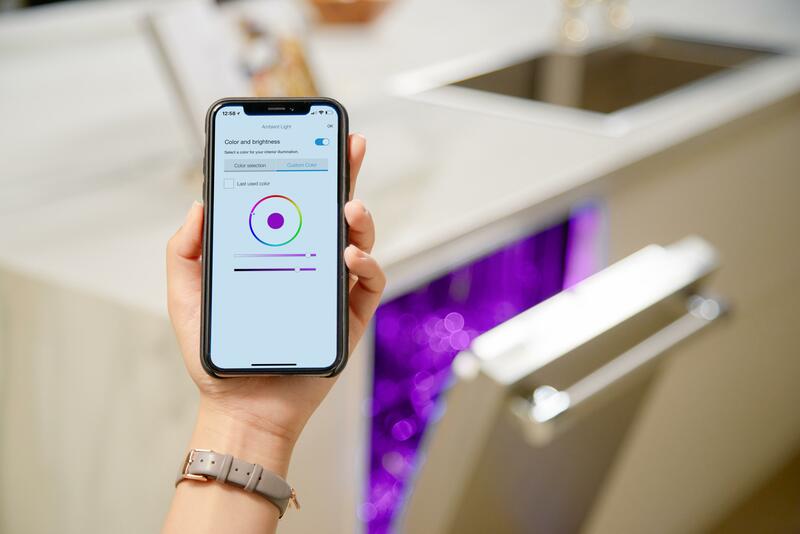 Consumers enjoy instant, personalized control when they connect their products to the Home Connect™ app. Through the app, consumers can send recipe instructions remotely to their oven or induction cooktop. To set the mood, they can dim hood lighting or customize interior illuminations for their Star Sapphire® Dishwasher. And the Coffee Playlist lets entertainers make multiple cups of coffee consecutively for guests — all with their mobile device. With an easy-to-use app, consumers have access to product tutorials, cleaning and care for their appliances, product feature instructions, and special product details. Step-by-step guidance allows you to convert your favorite traditional recipes for your steam oven, or even cook side-by-side with professional chefs from ButcherBox for the perfect steak. And remote diagnostics allows Thermador service representatives to remotely run diagnostics when you’re in need of assistance or support. Thermador Connected Experience by Home Connect™ gives consumers more ways to personalize and experience their culinary journey. The ever-growing network of Thermador connected partners include partners such as Amazon Alexa, Josh.ai and IFTTT. For more information about the Thermador Connected Experience by Home Connect™, please visit the Thermador website .